With the unseasonal wintry mix we’ve been enduring in NYC, it seems like everyone is hunting for a pair of rain boots to weather the storm. As fate would have it, Pure Citizen, the “ethical Gilt Groupe”, is offering a righteous deal on Roma’s rain boots for the next two days. Fairly made in China from 100 percent natural latex rubber, each boot includes a lining of quick-drying cotton to keep your toes toasty. Bonus: By purchasing a pair of Romas, an underserved child will receive a pair to stave off the damp, as well. Thousands of Eastern European kids perish each year from hypothermia and pneumonia. Thousands of Eastern European kids perish each year from hypothermia and pneumonia while many others lose toes and even entire feet due to frostbite. Bistrain and Roma hope to warm the world through their business model of “selling boots to the fortunate, giving boots to the unfortunate.” Either way, they have warmed our hearts with hope. 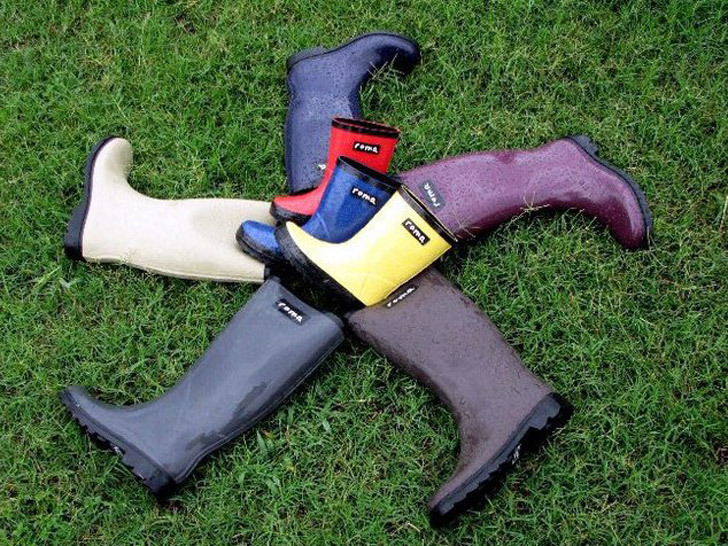 With the unseasonal wintry mix we've been enduring in NYC, it seems like everyone is hunting for a pair of rain boots to weather the storm. As fate would have it, Pure Citizen, the "ethical Gilt Groupe", is offering a righteous deal on Roma's rain boots for the next two days. Fairly made in China from 100 percent natural latex rubber, each boot includes a lining of quick-drying cotton to keep your toes toasty. Bonus: By purchasing a pair of Romas, an underserved child will receive a pair to stave off the damp, as well.